People choose to downsize their home for multiple reasons. Seniors might long for a smaller property that is easier to maintain, whilst empty nesters will not want to wander around a large, vacant home. Yet, there can be various challenges you might face when you say goodbye to a large home. Here’s everything you need to know about downsizing your home. It’s important you set realistic expectations when planning to downsize your home. While some might view downsizing as giving up their pool or conservatory, others might want to move from a mansion into a tiny property, such as one of these houses. Have an idea of exactly what you want before you move out, so you can quickly narrow down your search. If you have made the decision to downsize, you will likely want to spend the rest of your life at your new address. You must look to the future to ensure you don’t have to move once again. For example, a home with a winding staircase might be a great addition to the home now, but it will not be practical once you reach the age of 80 years old. Also, will you be able to maintain a large garden once you’ve reached your senior years, or could you afford a gardener? If not, you must look elsewhere. Before you rush into a decision, you need to identify your lifestyle needs. For example, will your existing furniture fit within your home? Will you need to scale back on your belongings to prevent a cluttered space within a smaller property? How many bedrooms will you need? Ask yourself all these questions so you can pick a property with your head and not just your heart. When decluttering your home prior to the big move, you must be practical about the items you keep. For instance, if you are moving into an apartment, you will not need to take your lawnmower with you. If you’re planning to move into a one-bedroom property, you will not need multiple beds, mattresses, or too much bed linen. You also will not need to keep more than one or two wardrobes or chest of drawers. Don’t throw your unwanted items straight into the bin, especially if you can make money from the goods. For example, online websites such as Craigslist and eBay make it easy to sell your belongings, so you can boost your bank balance and ensure the items go to a good home. You could also donate your belongings to charity, which can help to support a worthy cause. Most charities are willing to take a wide variety of items off your hands, from clothing to sports equipment. You will more than likely have accumulated many belongings over the years, such as family photographs, toiletries, and keepsakes, which you will not want to say goodbye to when moving home. That’s why you should invest in storage, so everything will have its place within the home. Ottomans are a great option, as they can provide a great seating area whilst offering ample storage. You should also invest in under-bed storages boxes, bookcases, and wall-mounted shelving. There is a difference between planning to downsize and implementing it. Leaving your home behind can be emotional, especially if you have raised your children in the property. Not only will you be saying goodbye to the bricks and mortar, but you’ll be leaving many of the memories, too. It can be a hard process, which is why it is important to approach the downsizing process with positivity and humor, so you are mentally prepared to move properties. Don’t make a rough estimate when downsizing your home. The last thing you will want is for your much-loved sofa to be too big to get through the door. You will lose much square footage when moving into a smaller property, so you should measure everything twice to ensure it can accommodate your furniture. Regardless of your reason to downsize, it might be an intelligent decision to seek financial advice, which will ensure you consider every cost when investing and moving into a new property. Furthermore, a professional can provide guidance on what to do with the remaining money, as you may want to save for your retirement or invest in a new opportunity. Moving home can be stressful. That is why you should color coordinate your boxes by room, so the movers will know where to place each box at your new address. Simply assign colors to a room and mark boxes with their corresponding colored sticker. 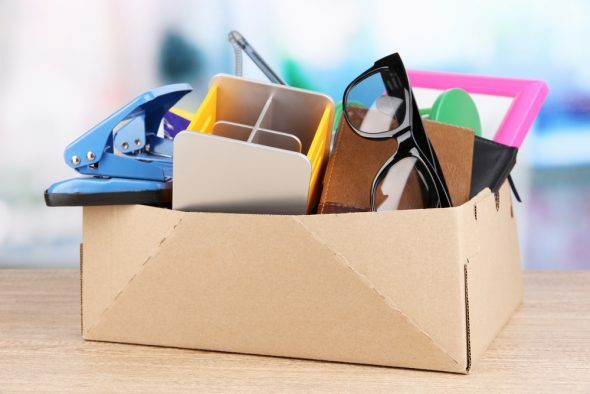 It’s a simple and easy way to unpack your boxes, as you will be able to access any items you need immediately once they arrive at your new home. Get off to the best possible start in your new neighborhood by introducing yourself to your neighbors. Whilst some might happily knock on your door to welcome you into the area, it might be helpful to knock on others’ doors, so you can make the right first impression. As a result, you could immediately feel a part of the community, which will make you feel right at home. There are multiple considerations to make when downsizing your home. You must identify your needs and carefully consider the items you want to take with you or leave behind. It might also be wise to consult an advisor to ensure you make the right decision regarding your finances, so you will have enough money to enjoy a comfortable retirement. Have you downsized your home? Do you have any informative advice to share with people thinking of moving to a smaller property? Write a comment below.